Please select an option Black Red Blue Purple Please select a color. Easily attaches to the side of any wheel chair, stroller, walker, deck chair or scooter by a simple base clamp. The flexible arm allows for all angle positioning. baby is kept protected from the elements. 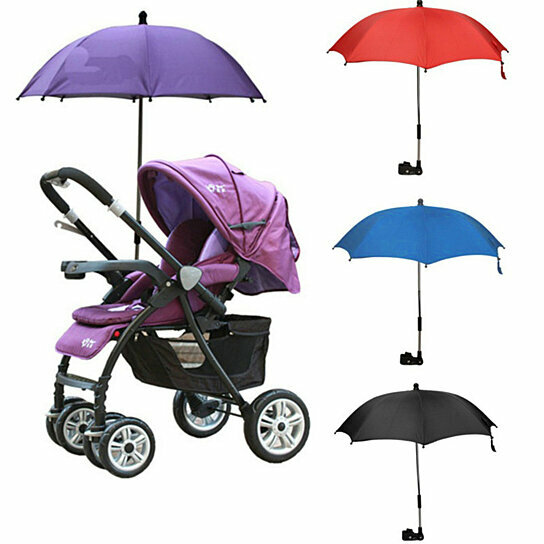 The umbrella fits most pram buggies and simply attaches with a screw type fitting to the frame.